The main opposition party said, parting away with water of the Mahadayi river will have a "long-term impact" on Goa. The Congress has asked the BJP- led government in Goa to challenge the Supreme Court a tribual's verdict on sharing the Mahadayi river water with neighbouring states. Parting away with water of the Mahadayi river (known as Mandovi in Goa) will have a "long-term impact" on Goa, the main opposition party has said. The Mahadayi River Water Tribunal (MRWT) on August 14 ruled that Karnataka will get 13.5 TMC (thousand million cubic feet) of water from the river, while Goa and Maharashtra will be allowed to use 24 TMC and 1.33 TMC of water, respectively. 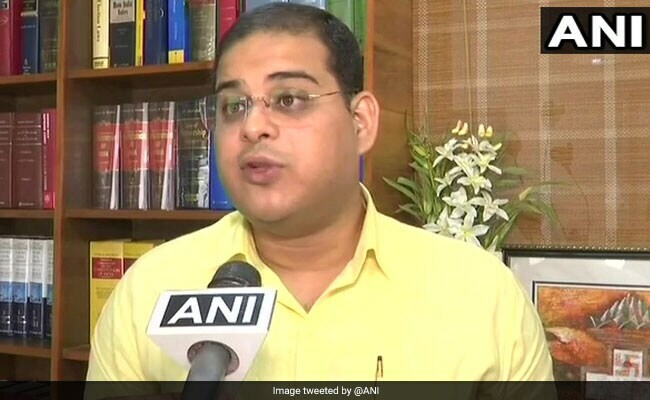 The BJP-led government should challenge the verdict (award) of the MRWT in the the Supreme Court, Goa Congress spokesman Yatish Naik said at a press conference here yesterday. Mr Naik accused the Manohar Parrikar's government of "miserably failing" to protect Goa's interest before the tribunal. Soon after the verdict, the Goa government had claimed it was a victory for the state. "The Goa government had approached the tribunal with a plea that Karnataka should not be allowed to divert water from the Mahadayi basin. "However, the tribunal, through its verdict, allowed Karnataka to utilise 13.42 TMC of water as against their demand of 36.5 TMC," the Congress leader said. "On the other hand, Goa had demanded 122 TMC of water, but the tribunal allowed it to use only 24 TMC of water. The tribunal's award is completely against the contentions of the state government and Goa can't claim victory," Mr Naik added. He said in all 92 villages are located around the Mahadayi river basin, having a cultivable land of 91,072 hectares, and the verdict will have a far reaching long-term impact on the state. "We, therefore, demand that the state government challenge the award of the tribunal before the Supreme Court without any delay so as to ensure justice is done to Goa," Mr Naik said. The three states had been for decades locked in a dispute over sharing of water of the Mahadayi river, which originates in Belagavi in Karnataka.